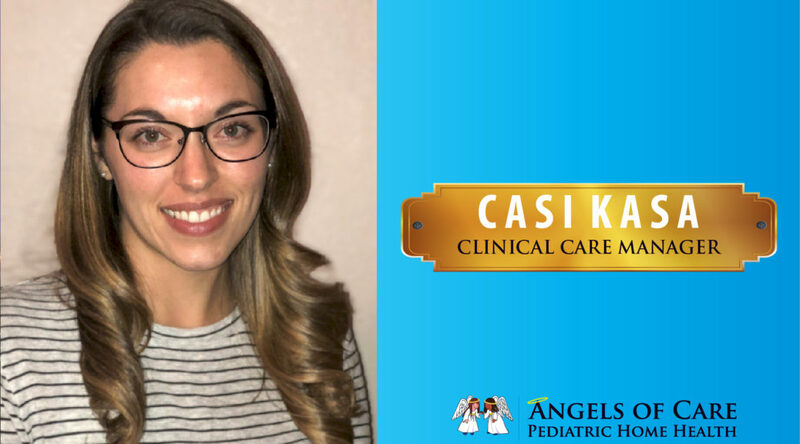 We’d like to introduce our Colorado Clinical Care Manager, Casi Kasa! After graduating from Beth-El College of Nursing, Casi spent the next few years working as a private duty nurse for medically fragile children. As her love of pediatrics grew, she decided that working alongside patients and families as they journey through the home care process was something she was truly passionate about. She has been a case manager for the last three years and is excited for this new journey as a Clinical Care Manager at Angels of Care. Outside of work, she is a true Colorado native and keeps busy with outdoor activities like camping and fishing.